This gorgeous exterior office is a must-see for those looking for a classic downtown view. 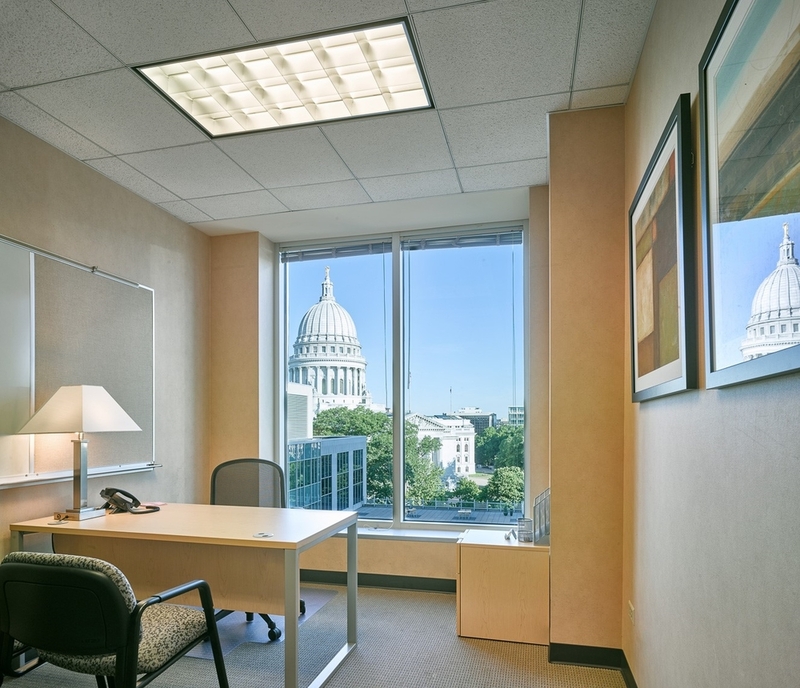 With a direct view of our State Capitol, this sunny office is a perfect space to spend your days or meet with clients. It's spacious enough to fit two desks if needed and comes with all of the Capitol Executive Suites amenities.